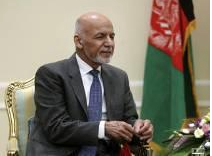 In May this year, Afghan President Ashraf Ghani had joined other South Asian leaders in welcoming the launch of a South Asian Satellite by India for South Asian nations, calling it a major step in regional cooperation. The Afghanistan government has requested India to launch a special satellite exclusively for its use, three months after India launched the South Asian Satellite. The Afghan Ministry of Telecommunications and Technology recently made such a request to the Indian government, officials in the Afghan government told ET (EconomicTimes). Afghanistan minister Syed Ahmad Shah Sadat recently met Indian Ambassador Manpreet Vohra in Kabul to make the request. It is not yet clear if Kabul wants to use a dedicated satellite to track terrorist hideouts. The minister and the Indian envoy discussed opening of a terminal for Afghanistan in the South Asia Satellite, another special satellite and India-assisted small development projects. A MoU would be signed soon to let Afghanistan benefit from South Asia Satellite. Two of the 12 transponders will be provided to Afghanistan and the satellite will be used in areas of telecommunications, television services, agriculture, mines and other sectors. A special satellite station in Kabul is also under construction.